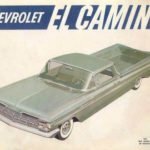 Here is some history on the beginning of selling a car-truck they called the Chevrolet El Camino which started on October 16, 1958. 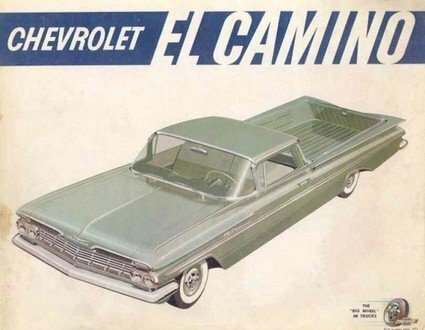 The first generation Chevrolet El Camino last two years starting with the 1959 model. It was listed and titled in North America as a truck. It was a combination sedan/pickup truck built and was built on the Impala body. Like the Chevrolet Impala, the El Camino had the same “cat’s eye” taillights and climactic rear fins. 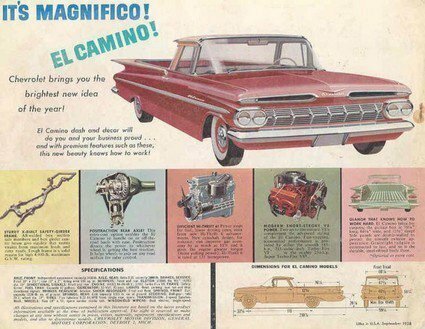 The totals for the first generation El Camino were 1959 El Camino Total 22,246 and 1960 El Camino Total 14,163. The Ford Ranchero first generation ran from 1957-1959, two years before the new El Camino. Chevy introduced the second generation El Camino in 1964; this one was built on the Chevelle platform. 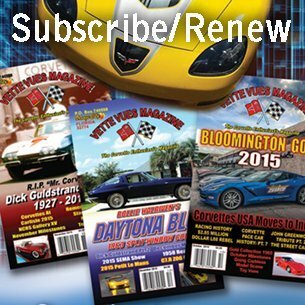 Production Totals were: 1964 El Camino Total 32,548, 1965 El Camino Total 34,724, 1966 El Camino Total 35,119, and the 1967 El Camino Total 34,830. In 1968, the third generation Chevrolet El Camino was offered. The one had the more powerful SS engine. The made the El Camino one of the iconic muscle cars of the late 60s and 70s. In 1987, Chevrolet dropped the El Camino from its lineup for good. 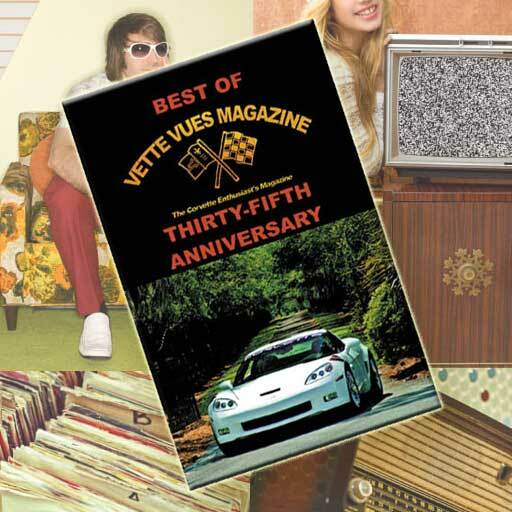 You might enjoy seeing some 1960 Chevrolet Corvette Ads. 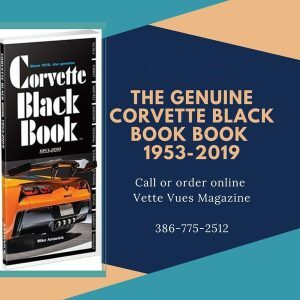 Here is some history on the 1953 Corvette including the EX122 Motorama Experimental Prototype Corvette.